The alarm on my phone jangled at 4 a.m. I jolted from the warmth of a four-poster, king-sized bed and the cozy weight of a hand-stitched quilt to step onto the smooth planks of the cabin floor. Leaving my slumbering husband, I slipped through the door into the chilly summer morning. I pulled on a light down jacket, zipped it to my chin and looked up into the huge dome of the Milky Way. I had intentionally timed our visit to Brooks Lake Lodge in Wyoming with hopes of experiencing the famous Perseid meteor shower. It is purportedly most active (a shower of 100 to 200 “shooting stars” per hour) in the last half of August and most visible from the Northern Hemisphere. 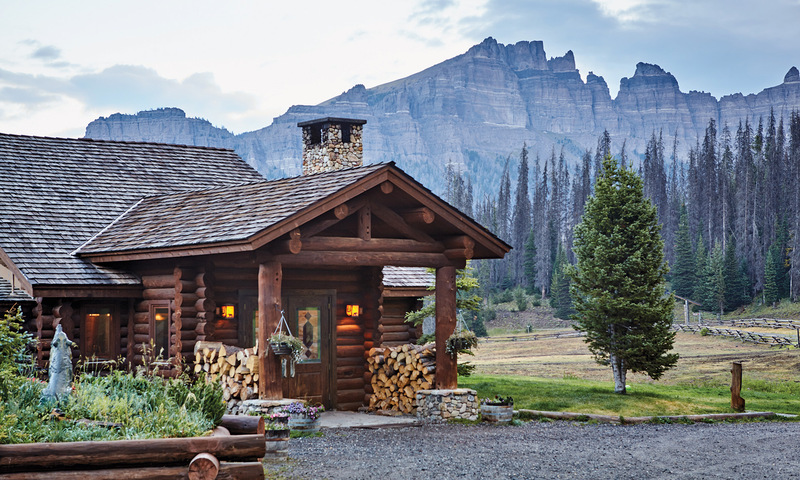 A guest ranch tucked into one of the remotest locales in the Lower 48 states sounded like the ideal place to witness the natural phenomenon. “It will be better than the Fourth of July,” I promised our 12-year-old daughter on our drive through Yellowstone bear jams and long construction delays in Grand Teton National Park. 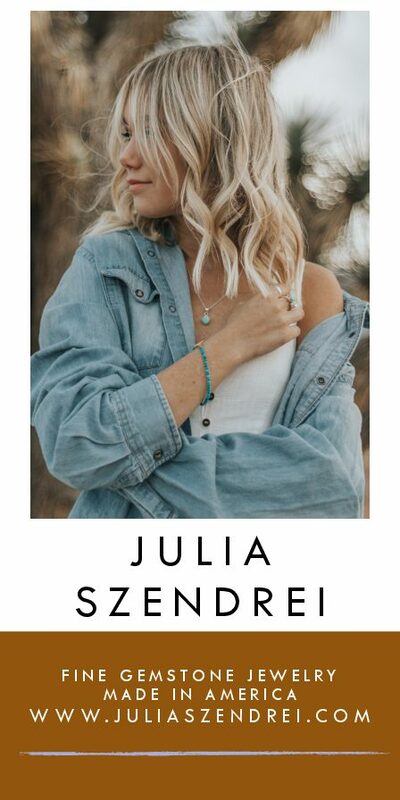 I had imagined the three of us padding outside in the middle of the night, still in our pajamas, barefoot and wrapped in Pendleton blankets, whispering oohs and aahs at the great show of meteors. It had been a daydream that carried me through a seemingly endless stream of summer guests to our house, past writing deadlines, an awkward family reunion and the press of a frenzied regular life: the night sky of Wyoming. Yet, when the night finally came, I stood alone. My husband and daughter were exhausted from a half-day trail ride, archery lessons and a quick dip in the freezing lake. 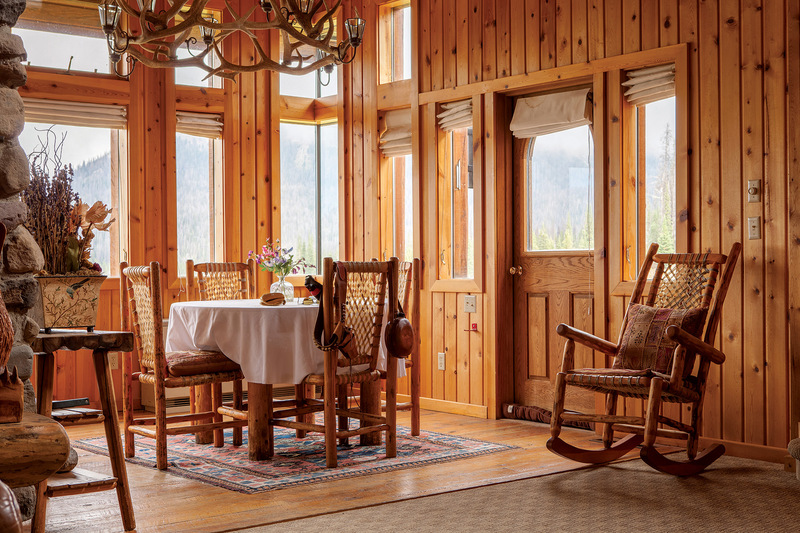 We’d supped in the dining room of the perfectly restored 1922-era lodge, watched the sun dip over the edge of the Continental Divide and hoofed back to our cabin before dark. There is no television or internet in the cabins. No radio, either. Only a wood-burning stove, card games and good old-fashioned paper books. We all breathed a collective sigh of relief as we settled into our first night. Brooks Lake Lodge is so special, I want to keep it a secret. You won’t believe me anyway. I can describe the Absaroka Mountains that tower like medieval turrets over the clear lake, the sheer remoteness and unlikely luxury of a grand lodge situated at 9,200 feet above sea level that houses an art collection ranging from Frederic Remington sculptures to contemporary landscapes by Clyde Aspevig, Jim Wilcox, Scott Christensen and Greg McHuron at the end of a winding dirt road that is part of the original Yellowstone Trail. 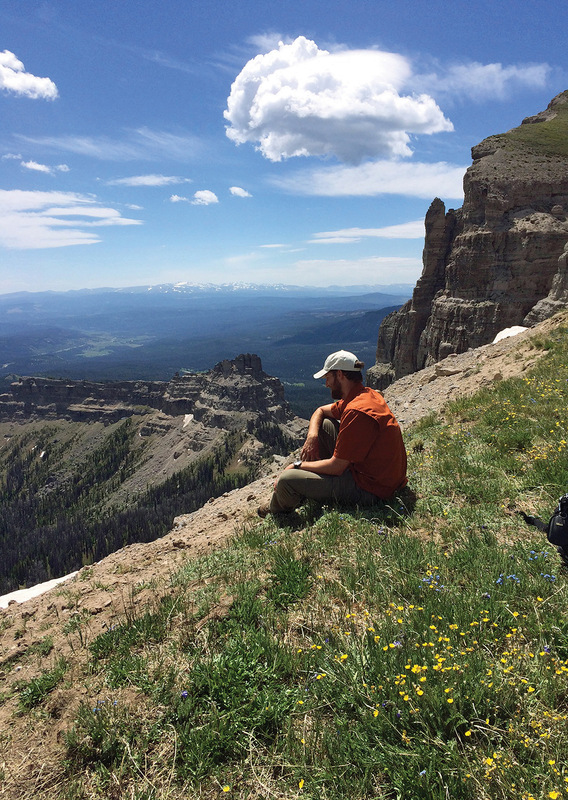 I can tell you that it sits on the edge of the Washakie Wilderness at Togwotee Pass, a point so pristine you will wonder why it’s not part of neighboring Yellowstone National Park. But it won’t make sense unless you experience it yourself. 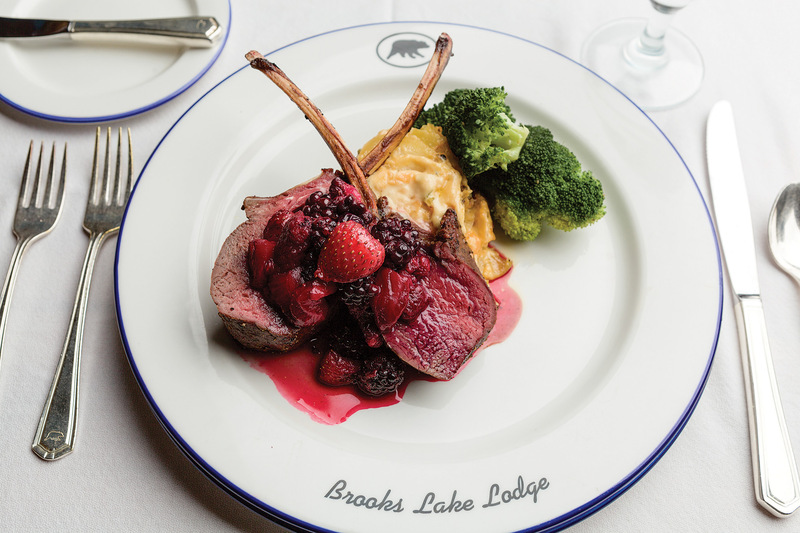 Brooks Lake Lodge is the kind of place you should discover on your own. It’s a place that takes me back to the Wyoming of my childhood — when my own family first ventured there on an Americana whirlwind vacation in the early 1980s. 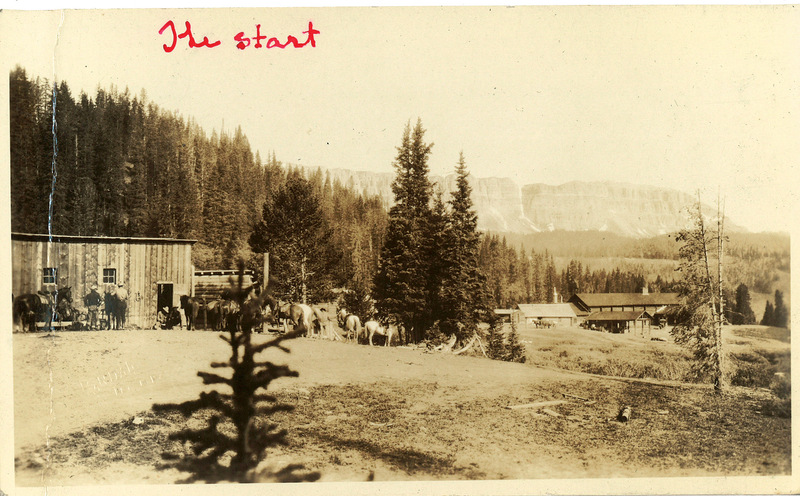 We witnessed Old Faithful’s eruption, rode dude ranch horses, spotted buffalo and bought Western boots to stomp on wooden boardwalks that wrap under the elk-horn arches in the town square of then-sleepy Jackson Hole. As a little girl from Hawaii, it was astonishing. Wyoming was the stuff of Clint Eastwood movies. Today, that version of the Cowboy State still exists, but with millions of summer visitors it’s just so much more crowded. Yet, at Brooks Lake Lodge there are no crowds. It’s a five-star, all-inclusive ticket to hidden adventure. It’s so secluded you might even miss the turn-off on Highway 26, because there is no sign on the road and Google Maps doesn’t work up there. Finding this far-flung getaway is part of the pleasure. Standing solo on the deck of our cabin I cursed the full moon as it outshined the stars and dimmed meteor sightings. Gazing across the sky to the looming Pinnacle Buttes I saw no meteors. By moonlight, I had a view of the whole basin looking over the guest ranch’s cluster of log cabins, the trout pond and horse barn. My mind drifted to our hike planned for the next day. I considered fly fishing on Brooks Lake and a nighttime soak in the outdoor hot tub. Still not a single bright streak in the scarf of stars. Ironically disappointed, I thought about taking a stroll, but as I recalled the warning from Donna at the front desk upon checking in — “There are bears in these mountains. Never walk alone. If you do, carry bear spray and know how to use it!” — I reconsidered. Instead, I nestled into an Adirondack-style lounge chair, pointed my chin skyward and waited. The gibbous moon was so bright it made the landscape glow with the tint of a movie screen. No meteors were visible. My toes grew cold as I let the silence settle. But up there, on the edge of wilderness, I realized that silence isn’t very quiet. The stream trickled. A horse nickered in the corral. There was a thrum of a wingbeat as an owl swooped across the field. Then, I heard a gruff huffing sound from somewhere behind me. I sat up, straining to see movement at the fringe of forest. A grizzly, I was certain. The sound grew louder and deeper. I moved to the cabin door and turned the knob. It was locked. The huffing was so loud then, I expected a bear to lumber up the stairs. I banged on the window, calling my husband. I heard him stir in bed, snorting as he rolled to the edge. When his bare feet thumped across the floor — and the noise ceased — I realized the bear had only been the sound of my husband snoring. He opened the door, groggy. We laughed as I explained. Then he came outside to watch the sky. 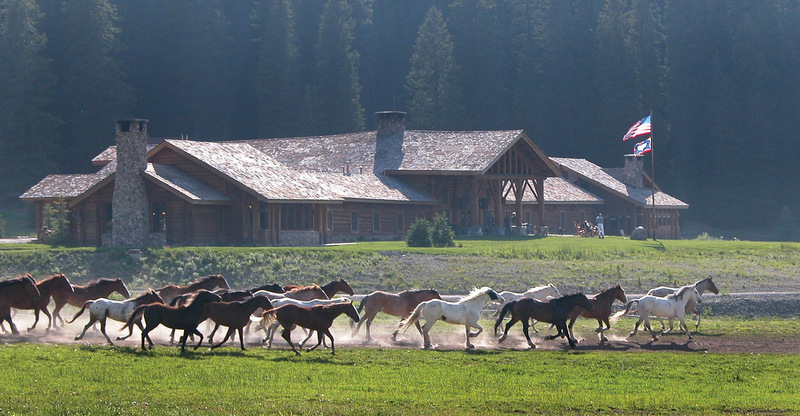 Brooks Lake Lodge & Spa is a 100-year-old historic guest ranch near Jackson Hole, Wyoming. The original log structure was built in 1922 and is listed on the National Historic Register. 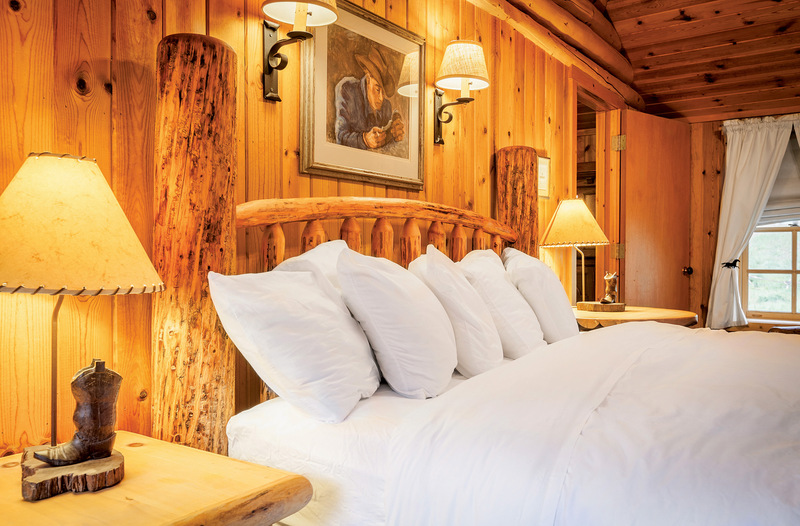 The new spa facility was built with Western craftsman-style detailing to complement the original lodge’s architecture. 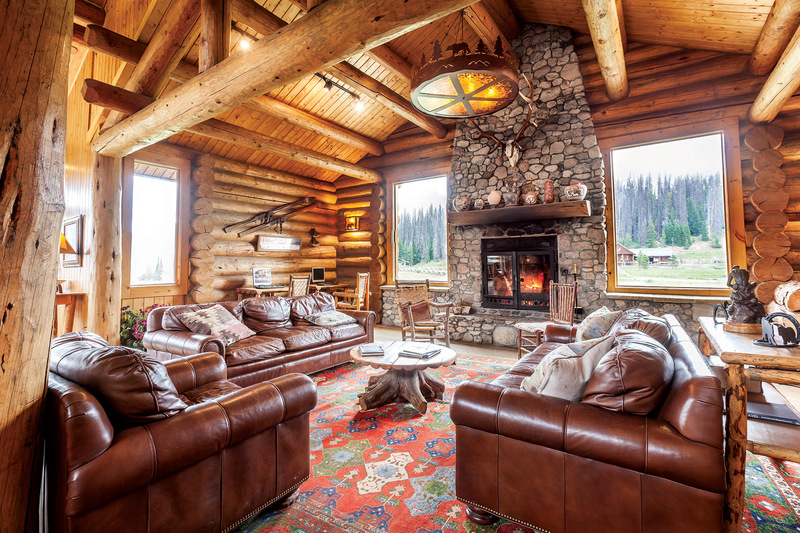 A dude ranch by summer and ski and snowmobile haven in the winter, the lodge provides year-round activities for outdoor enthusiasts who appreciate five-star service, rustic luxury accommodations and gourmet dining. 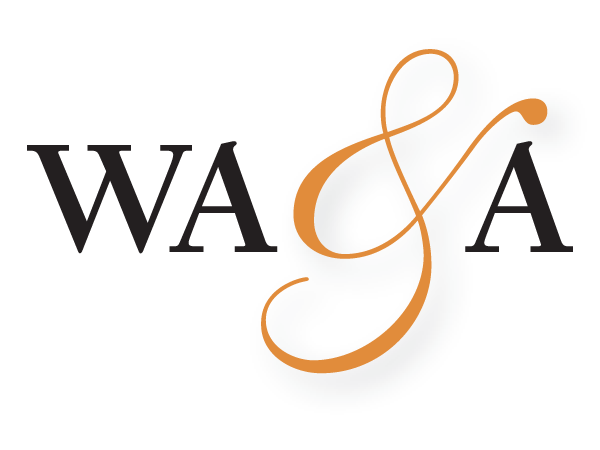 All-inclusive rates encompass lodging, meals, activities and spa access. 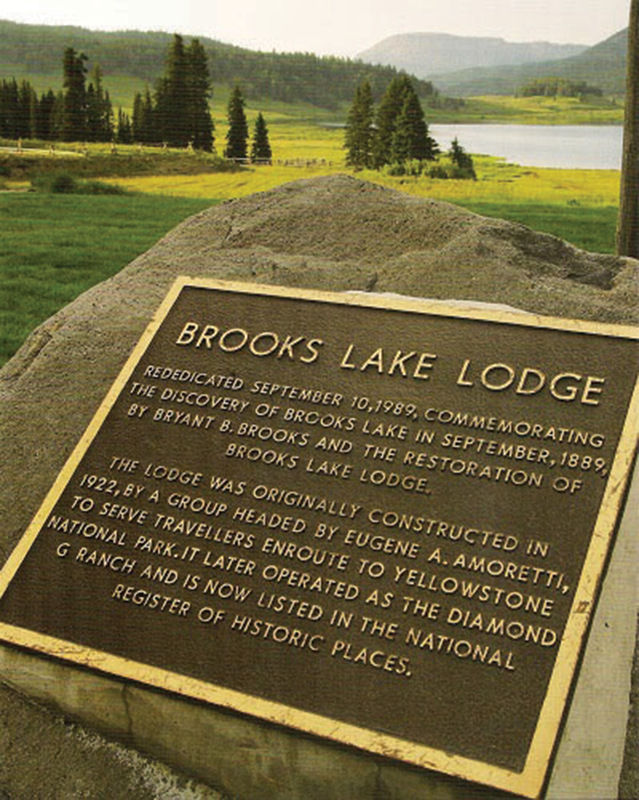 For additional information and reservations visit brookslake.com or call 866.213.4022. Just before the dinner bell rings, the team of wranglers send the horses out to pasture for the evening; the herd runs for open-range freedom. 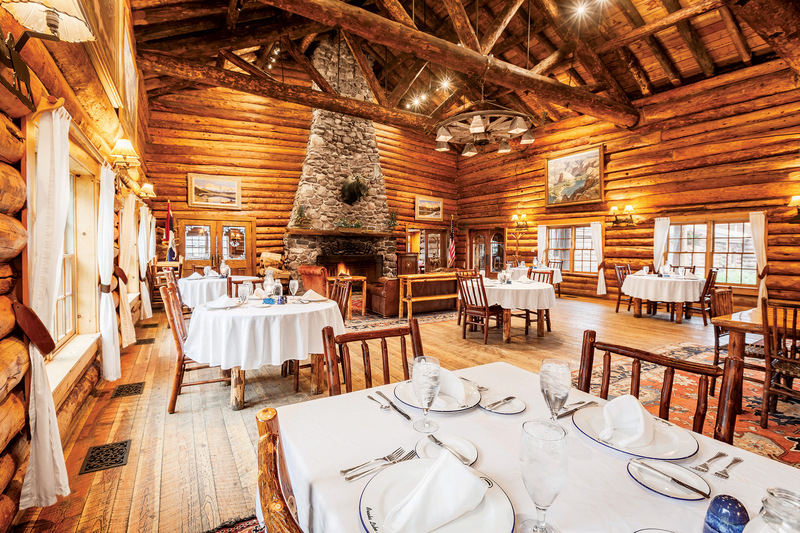 In classic dude ranch tradition, the homey historic lodge and dining room are where guests congregate at the end of the day to trade stories about adventures on horse trails and mountain tops. Guests are assigned their own family table in the grand dining room for the duration of their stay, adding a personal touch to the experience. On the trails that loop around Brooks Lake, the opportunities to explore wild spaces seem limitless. 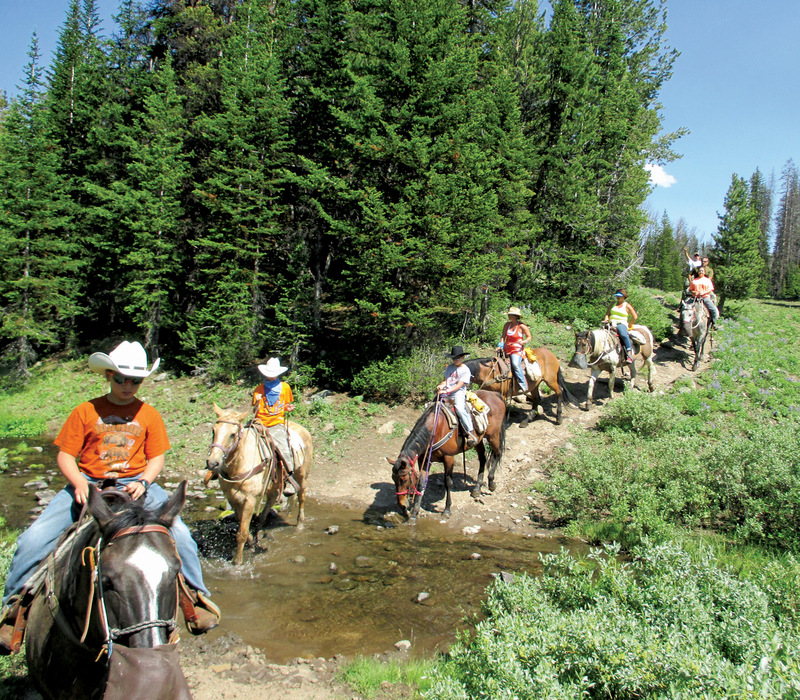 Either on horseback or by foot, the Pinnacles, Brooks Lake Mountain and the ancient Absaroka Range offer up views of spectacular landscape.